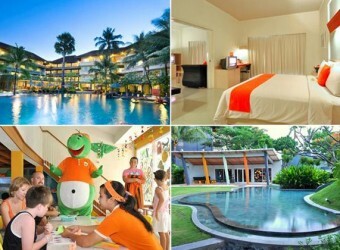 Bali Hotel A hotel to be located in approximately centrally of Kuta along the Kuta beach. Harris Resort Kuta is simple, stylish interior decoration, and the institution for children such as the kids' room is substantial. It is on the busy streets, but you can stay without bothering by noise because it is in the depths grasshopper place.